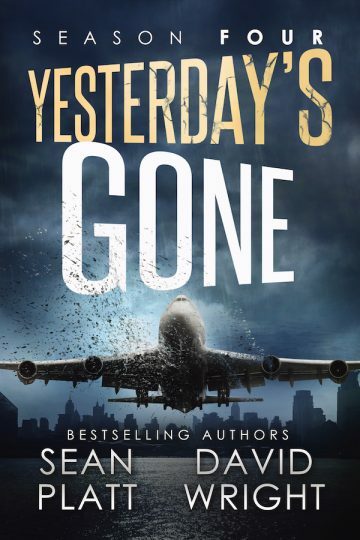 The #1 bestselling horror sci-fi series with over 1,000 5-star reviews continues here with Yesterday’s Gone: Season Four. How do you live a normal life when you’ve been through hell? More than a year has passed since The Event, and the survivors who returned home are trying to stitch their lives back together. They think they are safe. But that is a lie. The Darkness has followed them, and this time It’s amassing an army of allies. While key officials at Black Island fight to keep the secret, the survivors’ lives converge again. Confused by terrifying visions and unpredictable rampages, they seek help wherever they can find it. A set of alien vials holds the key to their survival, and to the world's fate. Can the survivors find the vials before getting swallowed by The Darkness? Find out now in Yesterday’s Gone: Season Four!